The search for missing canyoneers has ended after officials located the 7th and final body in Zion National Park. 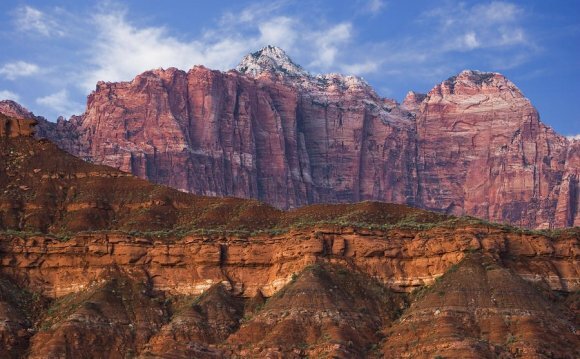 (KUTV) A sixth hiker has been found dead in Zion National Park, officials confirmed Tuesday evening. Six people have died after flash floods Monday evening in the park. One remains missing. The group was described as seven canyoneers, consisting of four men and three women from California and Nevada, according to Zion National Park officials. The hikers were in Keyhole Canyon on the east side of the park with a permit. Heavy rains hit the park late Monday afternoon, dropping .63 of an inch of rain and causing flash floods in the narrow canyon. Rangers located the hikers' unoccupied vehicles Monday night. A search began Tuesday morning when it was determined they had not exited the canyon. Officials said the search was hindered by the narrow canyon and by the weather, and efforts were called off for the day Tuesday. "There's not a lot of places to go if a flash flood comes and we are not going to put more people into a situation where we are going to lose more people by trying to do a recovery, " said park official Aly Baltrus. Those who died had not been identified as of Tuesday evening. Keyhole Canyon is a short, narrow slot canyon north of Highway 9, located on the east side of the park. Individuals must complete several short rappels under 30 feet and swim through several pools of water, according to officials. Park officials said there are no other reports of missing people. A news conference is scheduled for 10 a.m. Wednesday. 2News will be there and have updates throughout the day.